I recently spent a week traveling through the beautiful countryside of southern France while my luggage stayed behind somewhere in Charles de Gaulle Airport. Fortunately, my make up and basic toiletries were in my carry-on bag but everything else, my clothes, shoes, shampoo and lotions were packed in my suitcase. Needless to say, it wasn’t an ideal situation but I made the best of it. It helped that my basic travel wardrobe is made up of clothing that will go from daytripping through wineries and museums to dinner at a nice restaurant in the city. Most pieces can be washed in my hotel room and will dry overnight. Open my suitcase almost anywhere in the world and you’ll find two or three pair of black microfiber slacks, lightweight tailored blouses and one black jersey dress. When I need to dress up, I add a silk scarf or pashmina and change my shoes. To supplement what I had on my back while my luggage was AWOL, I stopped by a Monoprix and picked up a change of underwear, a white linen blouse, a very French-looking striped t-shirt (from the men’s department) and a pair of pretty leather ballet flats. It all fit in an extra tote bag I had stuffed in my carryon bag at the last moment. Luckily, the suitcase was found the day before I returned to the States and the whole experience was a good lesson on just how little we really need when traveling. While not having my things was inconvenient, it won’t cause me to stop checking my luggage when flying. My mileage status usually lets me check one bag for free and I like the extra room to bring home liquid souvenirs--wine, jams, sauces, etc.--that can’t be carried on. Wash and wear fabrics: Leave the jeans at home. Denim adds weight to your luggage, is too heavy to hand wash and can be expensive to have laundered at your hotel. 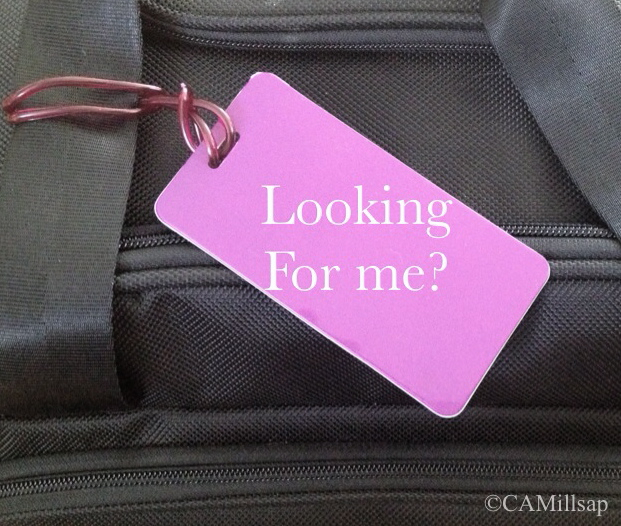 Have a bag inventory: The first thing the airline agent wanted was a list of items in my bag. It helps to have a packing list or, better yet, a photo of the bag’s contents. Know your rights: Check with your airline for their specific policy regarding reimbursement for (necessary) items purchased when luggage is lost. Put your ID inside your luggage: Tags go missing. I slip a business card or two inside my suitcase with my phone number and email address. That way if my bag is recovered but unidentifiable, it can be traced to me through the card inside.